We invite you to join our family and unwind amidst a backdrop of peaceful fields and placid sea views here at Eleni’s Village Suites. 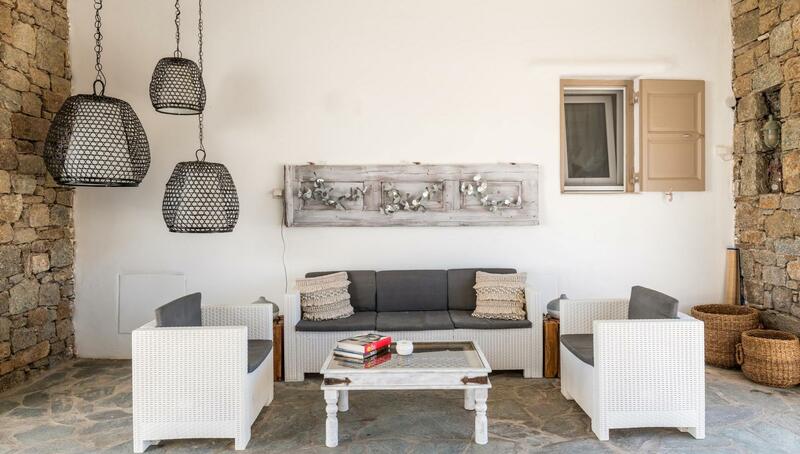 Tucked away from the hustle and bustle of vivacious Mykonos town, Eleni’s Village Suites is a prime example of the understated elegance and hidden charm that our breathtaking island has to offer. Eleni’s Village Suites delicately blends traditional Mykonian architecture with classic American country style to bring our guests one of the most unique accommodations on Mykonos Island. Unparalleled comfort and hospitality in addition to spacious and intricately designed suites and modern amenities – not to mention our home style ‘Aunt Marianna’s Breakfast Buffet’- are just part of what makes Eleni’s Village Suites an ideal getaway for today’s traveler. 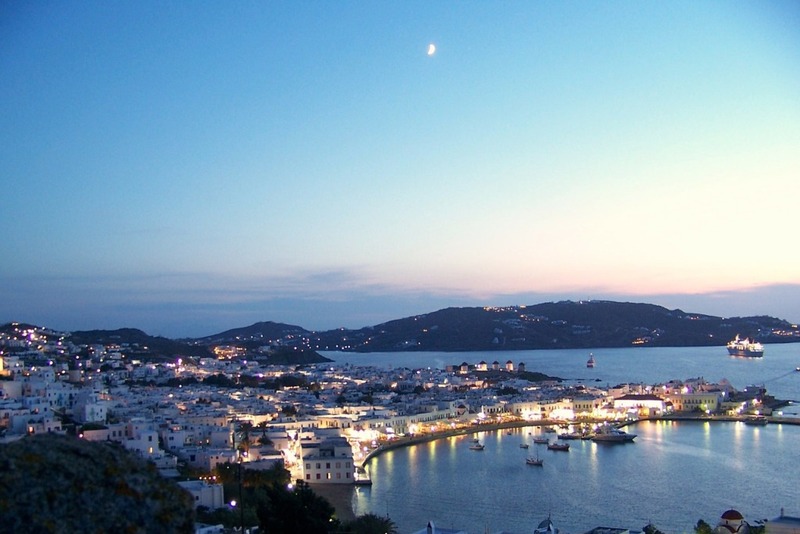 Much unlike any other Greek Island, Mykonos is very versatile in nature in that it has something to offer every type of guest. 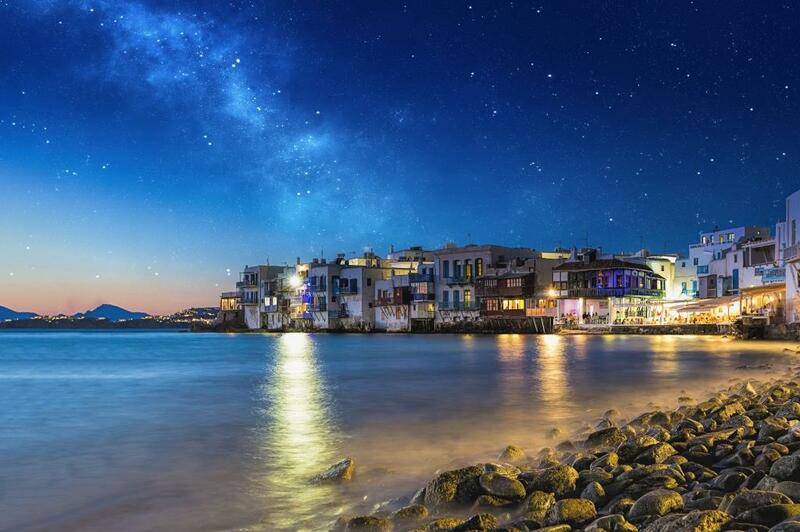 Whether it’s a desire for secluded beaches and romantic dinners, beachside party atmosphere and world famous nightlife, archaeological sites and historic excursions, water sports and camping, or a glamorous cosmopolitan experience, Mykonos certainly has something unique to offer. Whatever the demand, be sure that Eleni’s Village Suites will help to plan a perfect and quite unforgettable holiday here in Mykonos. 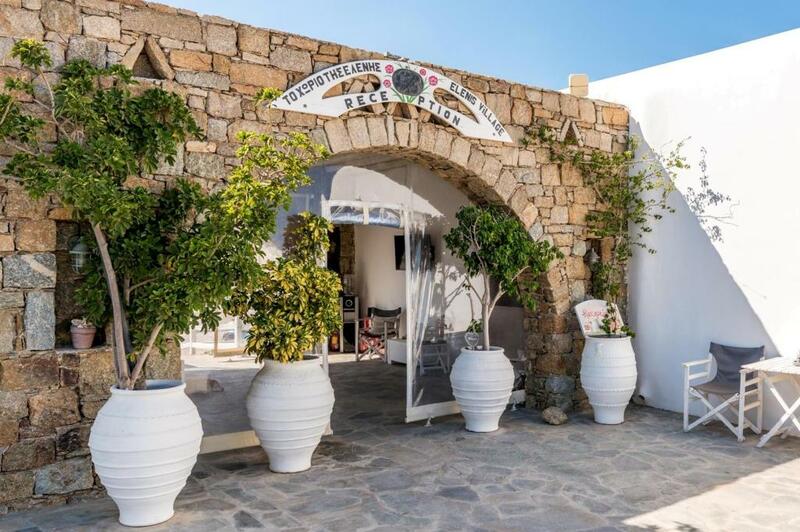 Just a few short minutes’ drive from town, Eleni’s Village Suites is located in central Mykonos Island – making it optimal for our adventurous and independent guests. Our guests are afforded the luxury of experiencing Mykonos Island in its entirety with the added bonus of a peaceful retreat awaiting back at our home here at Eleni’s Village Suites. A Note: Windsurfing Enthusiasts- Eleni’s Village Suites is just a distant view, and a short ride, to renowned Ftelia beach. Keep sights set on those windy Mykonian days!! Let us make our home your home here at Eleni’s Village Suites. Established in 2006, Eleni’s Village Suites is based, in more ways than one, on family. Built on family land, Eleni’s Village Suites is located directly behind the owner’s childhood home. While this land was used primarily for the grazing of goats and sheep, it became the perfect spot for the children to get together and play by riding donkeys, picking flowers, or just plain roaming free. Years passed and lives changed but one thing remained true; this land would always remain a sort of ‘home away from home’. So, when the time came for tentative plans for the land to be made, the owner decided to pay tribute to his fond memories by naming Eleni’s Village Suites after both his mother and daughter. His hope was that new and wonderful memories would continue to be formed on this, his favorite, home away from home. This is why we here at Eleni’s Village Suites open our home, and our hearts, to our guests with an invitation to join our family for your holiday. Let our beloved home away from home become yours as well!